This seaside town has lots of great attractions to enjoy, both for those who just want to stroll along the Promenade and take in the view, and for thrill seekers who want the exhilaration of a funfair. Some of the many days out to be had out in Blackpool include the Sea Life Centre, Blackpool Zoo and the Sandcastle Water Park, to name but a few. In Autumn, a vacation to Blackpool just wouldn't be the same without a trip to the world-famous northern lights, also known as the Blackpool Illuminations. Over three million visitors a year can’t be wrong, with the amazing illuminations keeping the resort lit up for 73 nights. And if all that isn't enough, Blackpool also has a whole host of options for shopping enthusiasts, with high-street names, independent boutiques and open-air markets catering for locals and visitors of all ages and interests. 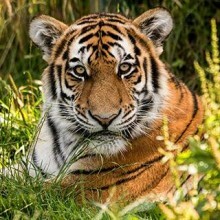 This award winning Zoo is a great day out for all ages. From a miniature Dinosaur themed safari trail to a lemur walkthrough where the animals run at visitors' feet, everyone is set to enjoy a fantastic day out. There are places to eat on-site and guests can even bring a picnic for a summer's afternoon. There are also multiple shops selling souvenirs. so that guests can take a piece of the magic home. 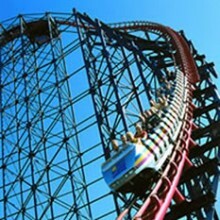 A mixing pot of funfair rides for all ages, Blackpool Pleasure Beach has everything from children's themed teacups in Nickelodeon land to thrill seeking coasters like the Big Dipper and the Avalanche for the older generations. Visitors will also be able to find arcades, shows and plenty of places to eat. With everything they might need in one place, visitors are guaranteed to have a great day out. 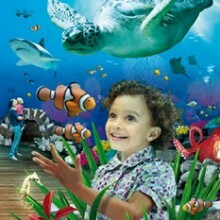 Come and visit Blackpool's amazing aquatic underwater world. It holds over 5000 magical creatures, and visitors can feed the sharks, meet Betty and Boris - the UK’s only pair of Bowmouth Guitarsharks - touch noses with the fish and visit the new Octopus Hideout. There is no other place like it in this seaside town. With five great attractions under one roof, this is a great day out no matter the weather. 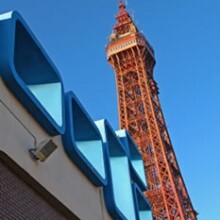 The Blackpool Tower is home to a new 4D cinema, grand ballroom, circus, historical dungeon and Jungle Jim's indoor adventure playground. Not to mention the magnificent piece of architecture itself and various events throughout the year, where guests will be able to find entertainment for everyone. In what is the UK's largest indoor water park, guests can slide through water rapids, race down slides, get tumbled in the wave machine and relax as they flow around the lazy river. After all that water fun, visitors can even choose a burger or snack bar to grab a bite to eat before doing it all again. Not forgetting arcades and a swim shop, ensuring there is everything needed for a great day out under one roof.